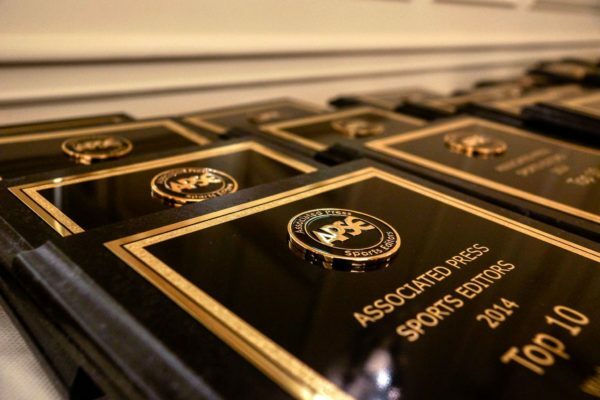 Gary D’Amato of the Milwaukee Journal Sentinel won first place in the Associated Press Sports Editors 2017 contest in feature writing for the 75,000-175,000 circulation category. D’Amato won for his feature on the 1967 NFL Championship Game. He will be presented a first-place plaque at the 2018 APSE banquet. The banquet and awards dinner concludes the APSE Summer Conference June 17-20 at the Marriott Hotel Nashville/Vanderbilt University. The second- through 10th-place winners will receive frameable certificates. Second place went to Ed Miller of The Virginian-Pilot for his feature following a NBA referee for a day. Third place went to Jenni Carlson of The Oklahoman about a raggedy baseball field meaning a lot to some local kids. The feature writing category judged the best single article. Judging was based on human interest, reader interest, quality of writing and thoroughness of reporting.